Charles Tyrwhitt is a Jermyn Street menswear company committed to delivering the best of classic British style to the world. The Tooley Street store is one of the label’s most welcoming branches, located right by Hay’s Galleria, opposite London Bridge station. 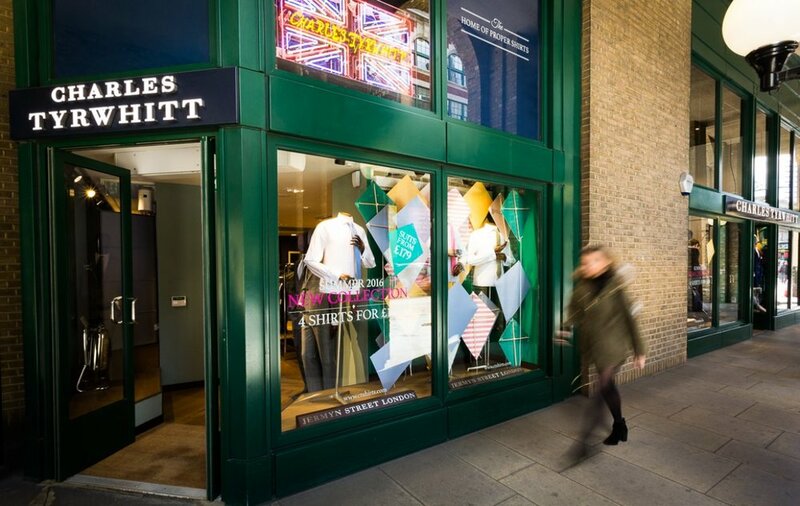 Charles Tyrwhitt are offering London Bridge DealCard holders 10% discount at their Tooley Street store. Make a visit to be greeted by their charming staff – trained and ready to resolve any style conundrum, fitting question, or just to guide you through a wardrobe refresh.